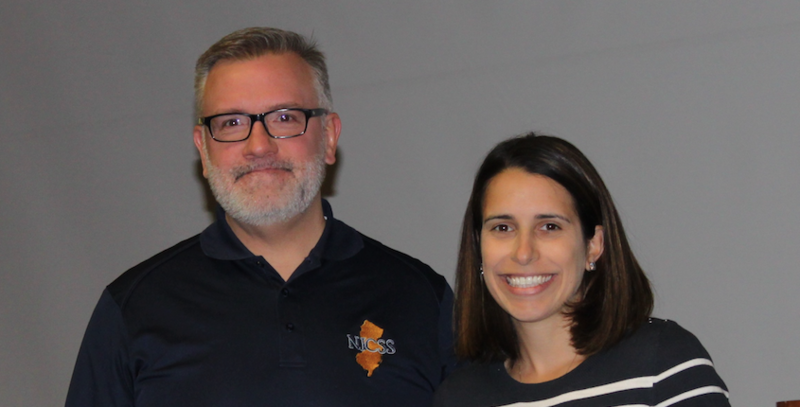 It is with great excitement and pride that we announce this year’s New Jersey Council for the Social Studies Secondary Teacher of the Year awardee, Ms. Leah Jerome. Her skills go way beyond the classroom at Pascack Valley high school. Like all great social studies educators, her time is spent not just “covering the curriculum, but helping to expand the minds and mindsets of all the students. She is the teacher/advisor to One Spirit, a community service club, which travels to the Cheyenne River Reservation in South Dakota. While there, PV students work and mentor American Indian students as part of the Cheyenne River Youth Project. The Cheyenne River Youth Project, founded in 1988, is a grassroots, not-for-profit organization dedicated to providing the youth of the Cheyenne River reservation with access to a vibrant and secure future through a wide variety of culturally sensitive and enduring programs, projects and facilities that ensure strong, self-sufficient families and communities. Ms. Jerome has fostered our relationship with the Lakota on the reservation and has made this service project a wonderful example of students from our district connecting with others well outside our community. Ms. Jerome, a James Madison Fellow, has served as the Asian Culture Club advisor, Class advisor, National History Day advisor, and mentor and coach to many of our students. She has a successful record as an AP teacher in both US and World History. Congratulations to Ms. Jerome on your continued success!